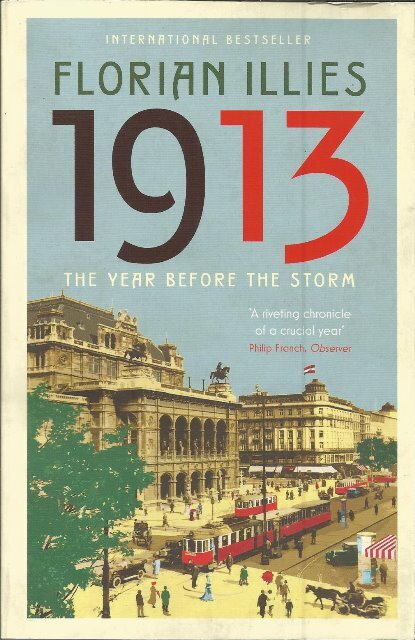 1913 by Florian Illies is a witty yet moving narrative worked up from sketched biographical fragments and is an intimate vision of a world that is about to change forever. The stuffy conventions of the nineteenth century are receding into the past, and 1913 heralds a new age of unlimited possibility. Kafka falls in love; Louis Armstrong learns to play the trumpet; a young seamstress called Coco Chanel opens her first boutique; Charlie Chaplin signs his first movie contract; and new drugs like cocaine usher in an age of decadence. Yet everywhere there is the premonition of ruin - the number 13 is omnipresent, and in London, Paris and Vienna, artists take the omen and act as if there were no tomorrow. 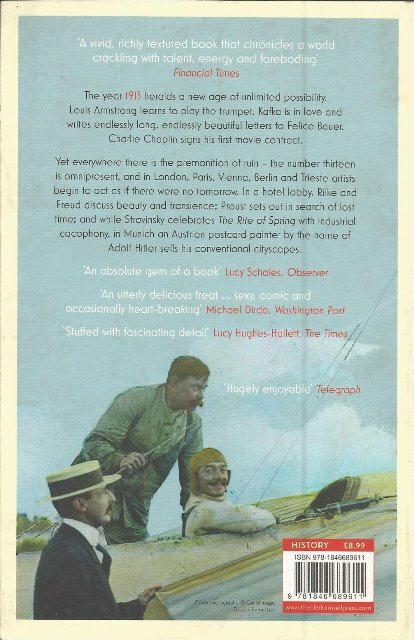 In a Munich hotel lobby, Rilke and Freud discuss beauty and transience; Proust sets out in search of lost time; and while Stravinsky celebrates the Rite of Spring with industrial cacophony, an Austrian postcard painter by the name of Adolf Hitler sells his conventional cityscapes.